Looking for “boxing gloves near me”? If you found this article doing a search in Google, we think you will find the info below incredibly helpful in locating places to buy boxing gloves in your area, or even help you select gloves online. Whether you are a seasoned pro or a novice entering the gym for the first time to do some light training, ensuring you have a reliable pair of training or sparring gloves is vital. If you are trying boxing for the first time then there is no need to go head first in to the market and purchase premium boxing gloves such as Cleto Reyes or Winning gloves by Kozuji that are both built to last under extreme conditions, but as a result can cost hundreds of dollars. Picking from the basic lines of Everlast or Title can suffice for the beginner. Familiarize yourself with the different types of gloves available and work out what you will need them for. Training gloves will be of use for the fitness-minded boxer who is looking to stay in shape rather than punch too many heads or torsos. 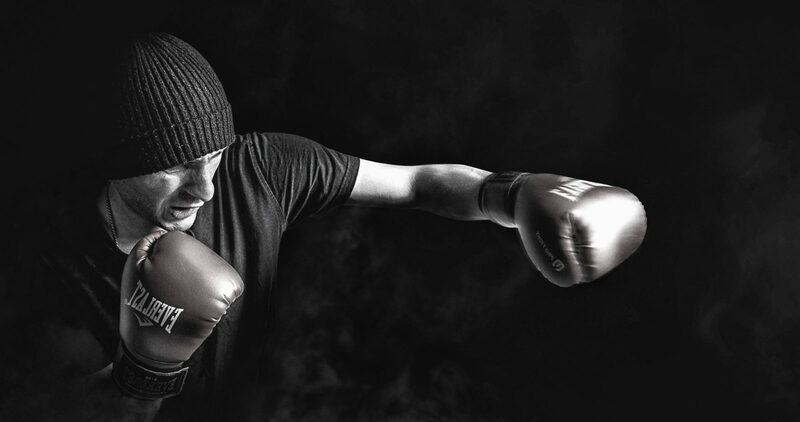 Sparring gloves are the next step up for boxers who are competing in the gym space with others and the likes of Pro-Box provide AIBA-approved gloves for amateur boxers. Punch bag mitts are rather self-explanatory in that they are specially designed to pound the bags or similar equipment. Be aware of souvenir gloves that are designed for collecting autographs from boxing stars or even hanging up somewhere in the house. They are not manufactured for hard, intense usage. Training gloves are generally heavier than those used in professional contests and glove weights can range from 8 oz punchers up to “soft pillows” at 20 oz. Training gloves are designed to offer more padding and protection. Knuckles, thumbs, fingers, wrists and even upper arms (susceptible from punching impact) are all at risk of damage when you are consistently hitting objects or people! Therefore, protection through good quality gloves is paramount. Boxers in lower weight categories tend to wear lighter gloves, in and around the 8 oz range, while heavyweight boxers naturally wear slightly heavier gloves in the 10 oz size category. Back in the ‘Thrilla in Manila’, Muhammad Ali and Joe Frazier both worse 8 oz gloves which no doubt exacerbated the punishment each man dished out. Gloves can be purchased in a boxing equipment store near you or online. 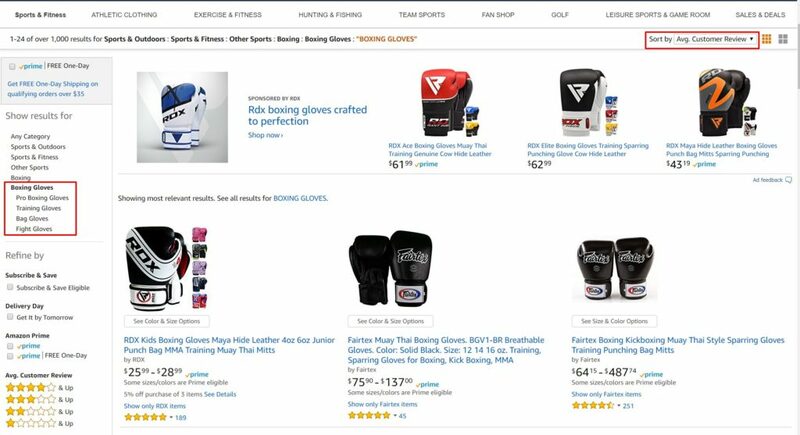 Websites selling boxing gear are popping up in their thousands but it is vital that any boxing aspirant does their due diligence before jumping in and buying what could turn out to be inferior quality gloves. Some sellers are importing sub-standard gloves that are cheaply mass produced and do not sufficiently protect the hands or wrists which are both of course a key part of any boxer’s weaponry – their tools of the trade effectively. This may not be a major issue if the individual is participating in boxercise, very light sparring, shadow boxing, pad work or similar, but usage notwithstanding, nobody wants a product that will start falling apart after a few weeks. Then you can narrow down your search with the choices in the left-hand margin. Look for gloves with more than 100 customer reviews. For anyone getting really serious about the sport, Cleto Reyes are often seen as one of the go-to brands on the market. Made in Mexico, Reyes’ horsehair padded gloves have been synonymous with high class competition for decades. Everlast has been a leader in glove manufacturing for a while and is a brand that can be trusted to deliver affordable, well-made entry-level gloves for someone trying boxing for the first time. Their lightweight Neoprene bag gloves are ideal for mitt work, heavy bag workouts, and reflex bag workouts. For the next level of training the Protex2 16oz gloves offer a nice neat fit for fist and wrist.